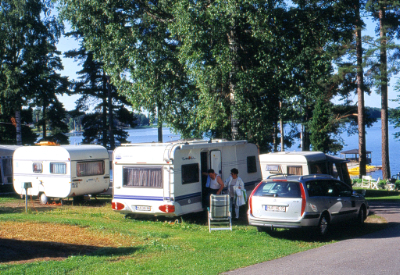 Nordic Camping Bredsand, one of Lake Mälar's (Mälarens) best recreational areas, right on the shores of the lake, with activities both in summer and in winter. Enköping's famous parks and a number of sports facilities. 5 km of asphalted footpaths and cycle paths to the centre of Enköping, with no intersecting roads. Troubadour nights. 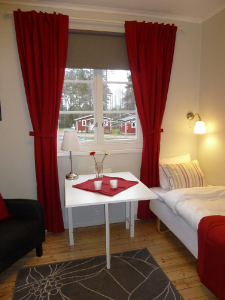 Close to: Stockholm by train, takes 38 minutes; motorway 70 km; Arlanda 67 km. Several castles and 7 golf courses within 30 minutes' drive. Lasse Åbergs Museum 30 km. 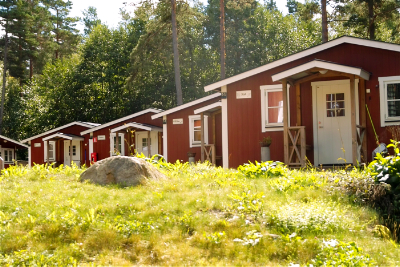 Accommodation: camping pitches, cottages and youth hostels. The cottages are the perfect accommodation for a family or friends, or as a low-priced alternative to hotel accommodation. 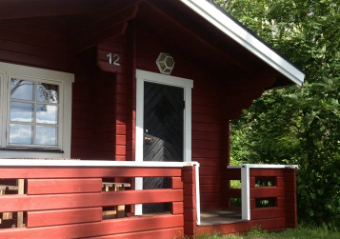 There is plenty of benefits when living in a cottage. The closeness to nature and the flexibility to park the car right next to your accommodation are some of the reasons why many like cottage accommodation. For all you tired of the usual hotel breakfast buffet there is the option in many of these homes to cook your own breakfast or meal. 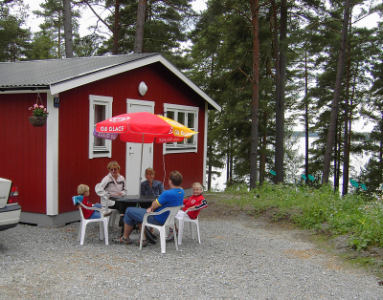 On Nordic Camping Bredsand they offer several cottages of various types and different equipment. 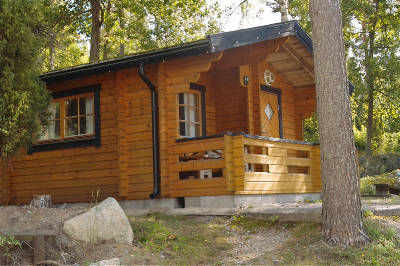 From a simple cabin without shower and toilet up to fully-equipped hotel cottages with kitchenette, shower and toilet. Common to all the cottages is that are always cleaned and tidied when you arrive. If you would like breakfast, we offer that too. All are welcome – motorhomes, caravans and tent campers. We offer attractive camping opportunities for all guests. 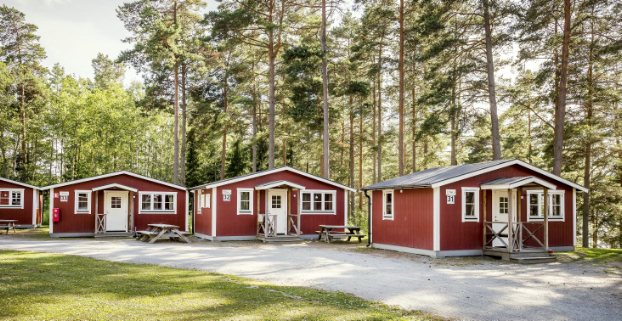 Season sites with direct views of Lake Mälaren or regular short-term sites for caravans and motorhomes are available with wonderful views. 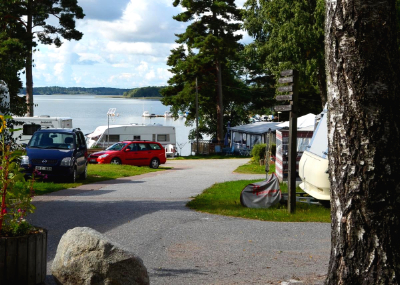 For those who choose to stay in a tent, we offer tent pitches right next to Mälaren's lovely shore. Who doesn't want to hear waves washing in while enjoying their stay? 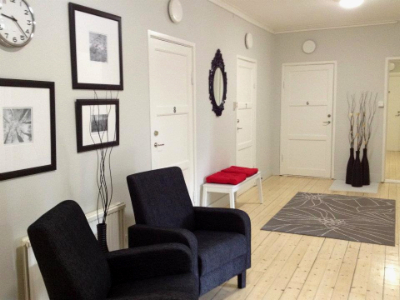 Our youth hostel is situated on an elevation with strikingly beautiful views of Lake Mälaren. A total of 40 beds are divided among 12 rooms. For some of them the standard rises to the level of hotel accommodations. 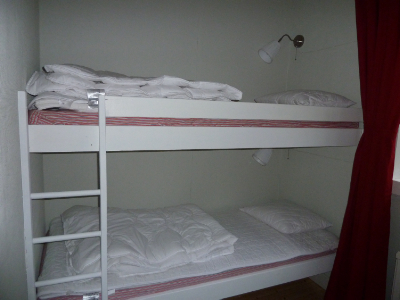 Choose among rooms with 2, 4 or 6 beds with youth hostel standards. 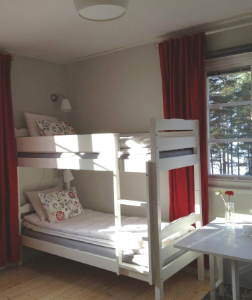 The rooms are furnished with bunk beds and a small dining area. TV with a standard selection of channels is planned for all rooms, but there is already access to free wireless Internet connections. In the common spaces you will find a kitchen, showers and WCs. If you do not want to bring your own bed linens, it is possible to order bed linens and hand towels in advance. If you are in a rather large group or party, why not rent our assembly premises on the lower floor of the hostel? 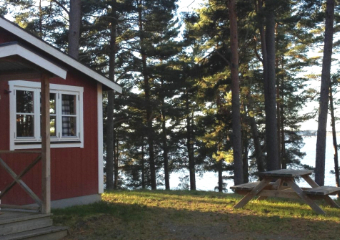 At Nordic Camping Bredsand we offer numerous cottages of various types and with different equipment. 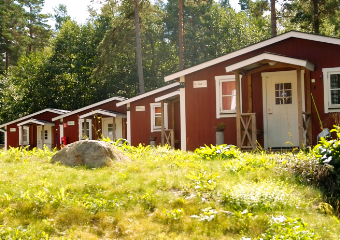 They range from more basic cottages without showers and WCs to fully equipped hotel cottages with kitchens, showers and WCs. 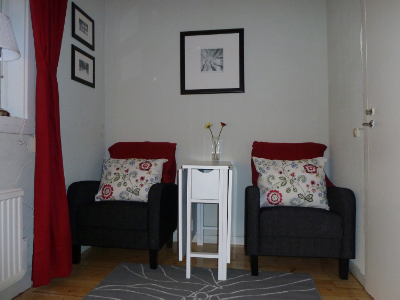 A common denominator for all cottages is that they are always fresh and clean when you arrive. If you would like breakfast, obviously we can provide that as well.